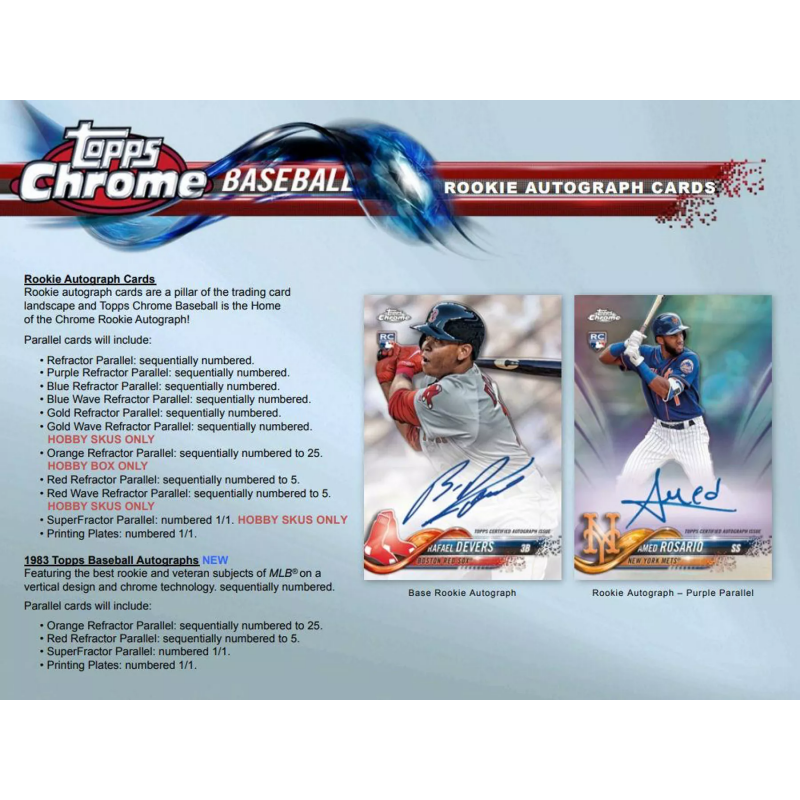 Look for On-Card Rookie Autographs! 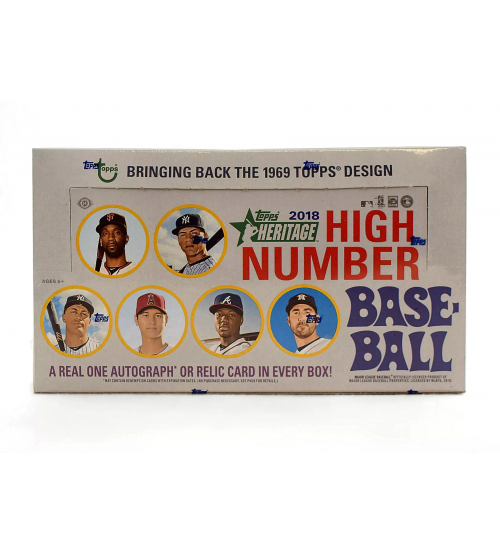 Find 1983 Topps Baseball Autographs! 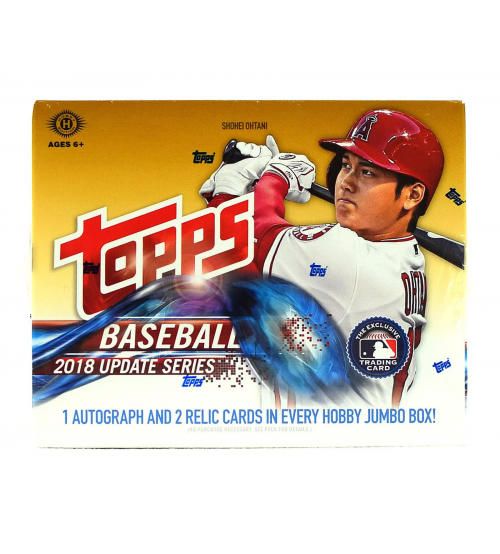 Each Hobby Box contains Two Autographs! All of the season's biggest rookies are featured with Rookie Cards and ON-CARD Rookie Autographs, making 2018 Topps Chrome Baseball a can't-miss release of 2018. 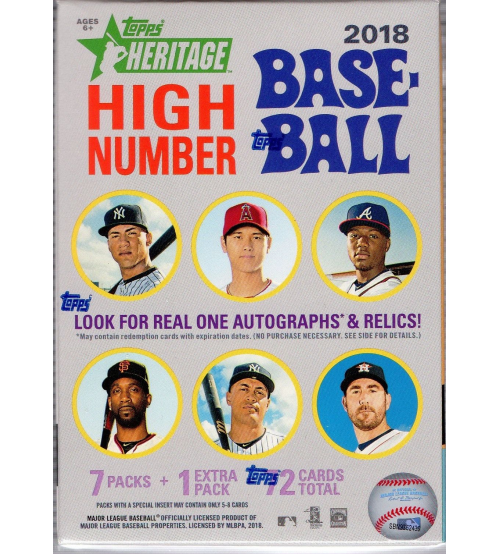 Look for Rookie Autographs of Shohei Ohtani, Gleyber Torres, Miguel Andujar, Ronald Acuna Jr., Rafael Devers, Rhys Hoskins, Ozzie Albies, Ryan McMahon, Walker Buehler, Jack Flaherty, Max Fried, Austin Hays, Francisco Mejia, Victor Robles, Alex Verdugo, Dustin Fowler, Chance Sisco, Scott Kingery, and many more! 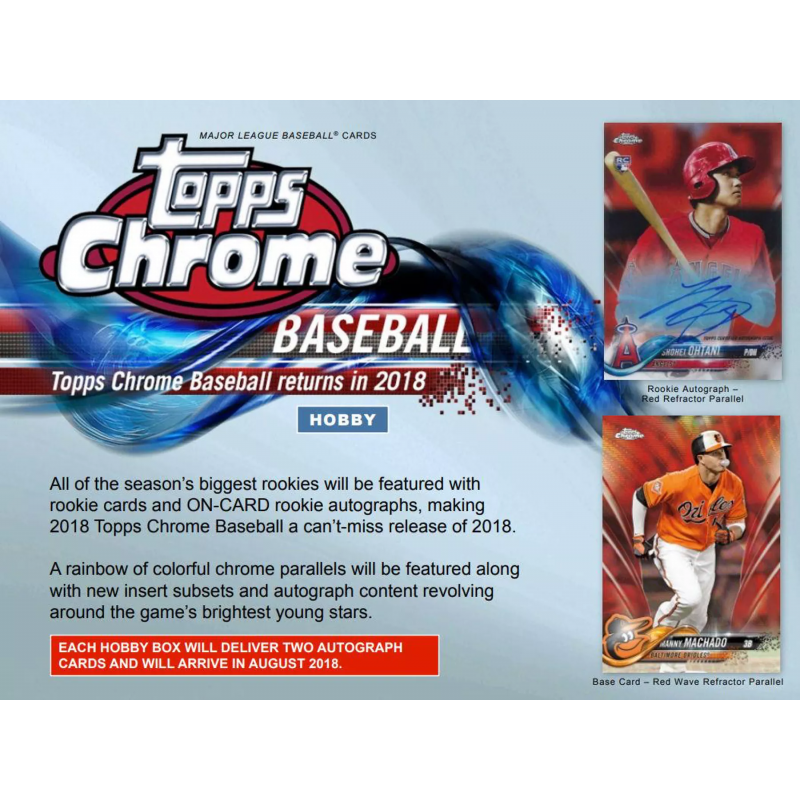 A rainbow of colorful chrome parallels are featured along with new insert subsets and autograph content revolving around the game's brightest young stars. 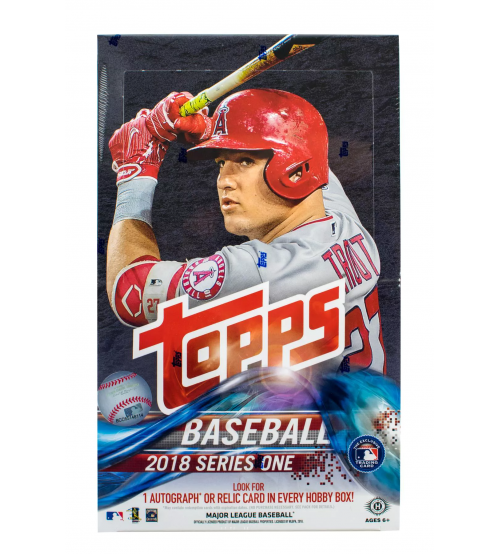 Key Rookies: Shohei Ohtani, Rafael Devers, Rhys Hoskins, Francisco Mejia, Greg Allen, Walker Buehler, Alex Verdugo, J.P. Crawford, Victor Robles, Dominic Smith, Chance Sisco, Austin Hays, Ozzie Albies, Max Fried, Willie Calhoun, Dustin Fowler, Clint Frazier, Miguel Andujar, Ryan McMahon. 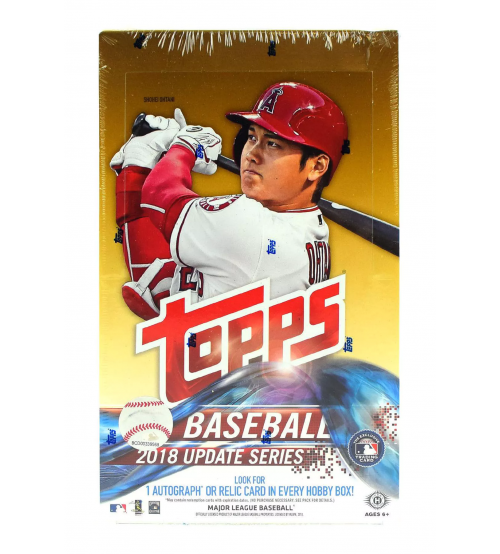 Key Rookies: Shohei Ohtani, Gleyber Torres, Miguel Andujar, Ronald Acuna Jr., Rafael Devers, Rhys Hoskins, Ozzie Albies, Ryan McMahon, Walker Buehler, Jack Flaherty, Tyler O'Neill, Max Fried, Willie Calhoun, Austin Hays, Francisco Mejia, Victor Robles, Alex Verdugo, Dustin Fowler, Chance Sisco, Scott Kingery. 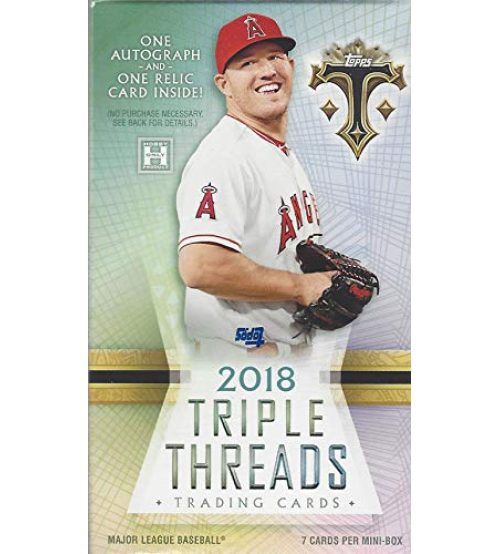 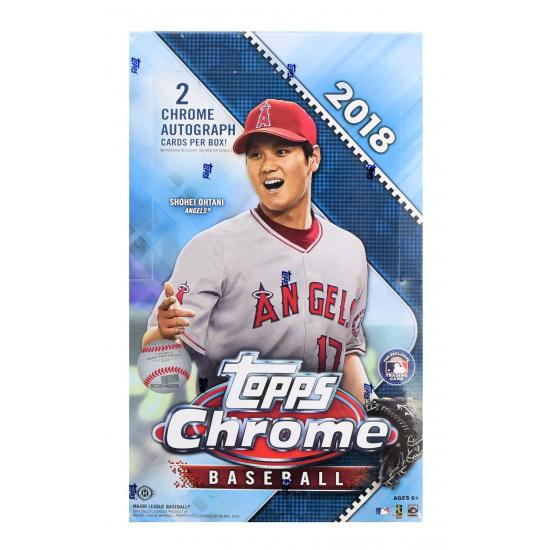 Rookie Autograph Cards: Rookie autograph cards are a pillar of the trading card landscape and Topps Chrome Baseball is the Home of the Chrome Rookie Autograph! 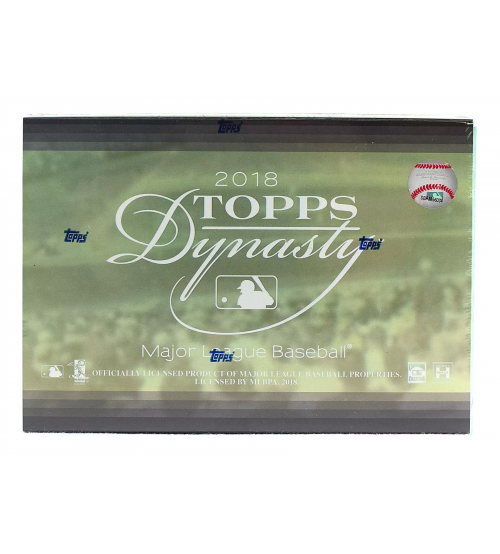 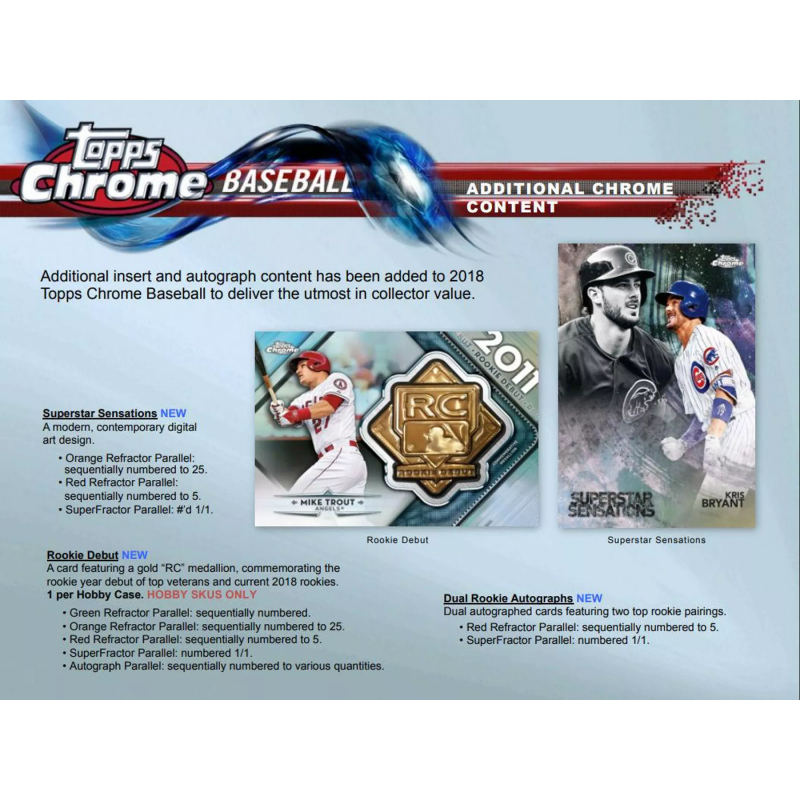 2018 Topps Chrome Baseball showcases a compelling array of collectible insert subsets. 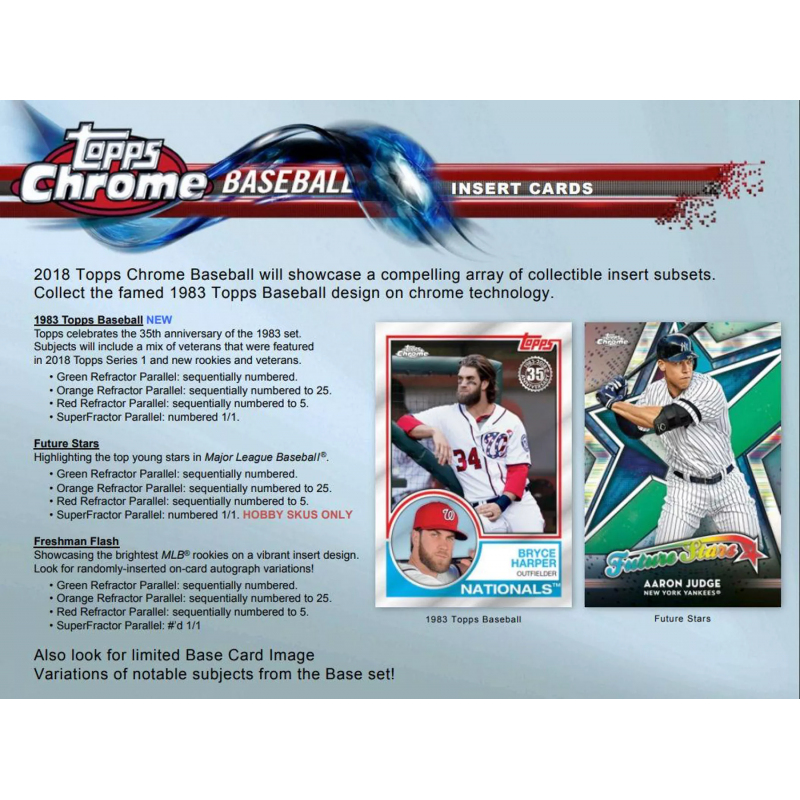 Collect the famed 1983 Topps Baseball design on chrome technology. 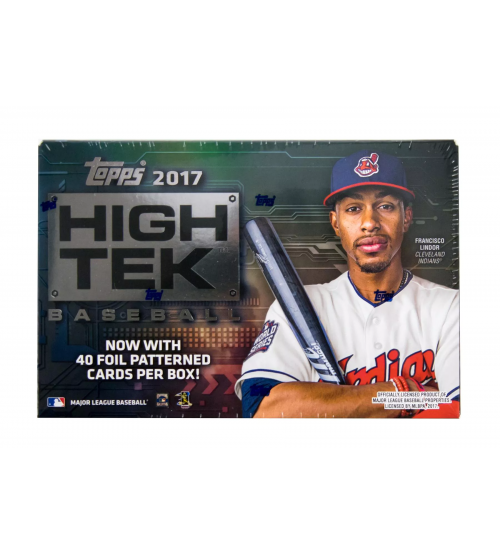 Showcasing the brightest MLB rookies on a vibrant insert design. 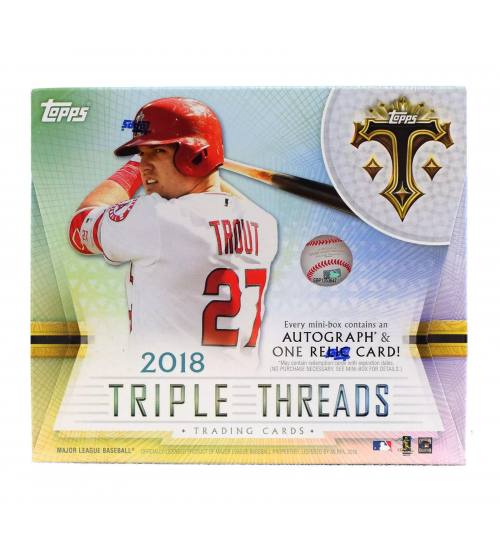 Look for randomly-inserted on-card autograph variations! 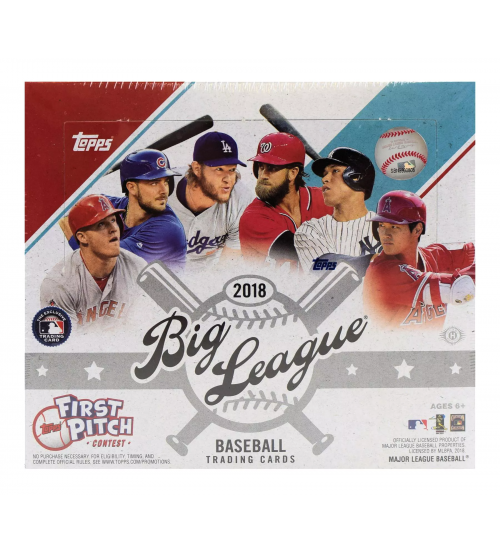 - SuperFractor Parallel: #'d 1/1. 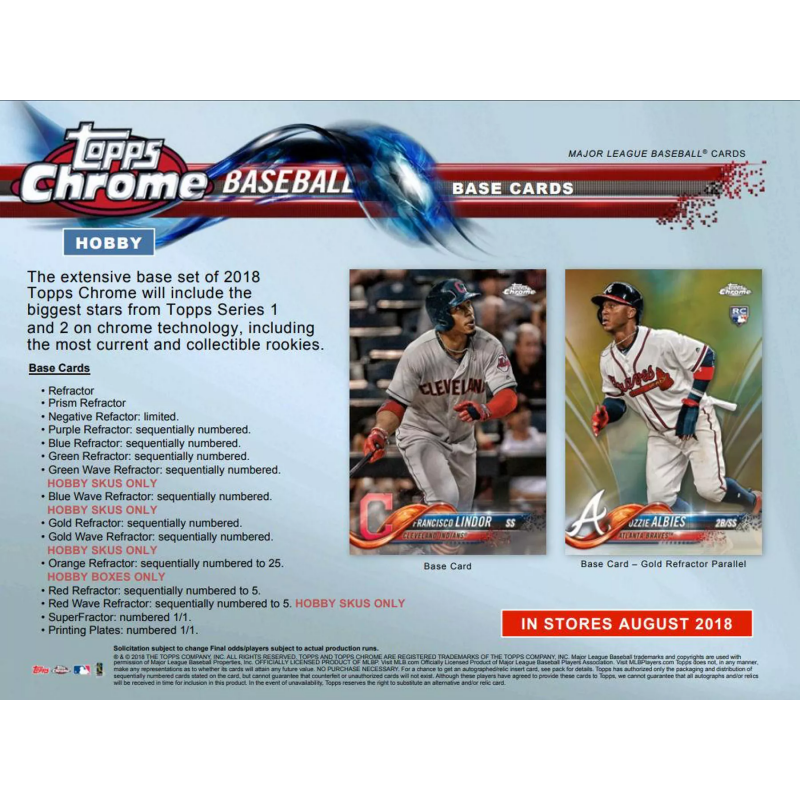 The extensive base set of 2018 Topps Chrome includes the biggest stars from Topps Series 1 and 2 on chrome technology, including the most current and collectible rookies.